Kari, Josh, Eddie and Alex: King of the SHARKS! Eddie had his swim team banquet this past Saturday night. Eddie competed on both the Sharks Swim & Dive team this summer. For the past four weeks every Monday through Friday Eddie has spent one hour in the pool swimming followed by two hours in the pool diving. Don't think the dive coaches are crazy....Eddie was only supposed to be at dive practice for one hour, but daily he would refuse to leave, choosing to practice with both dive groups. 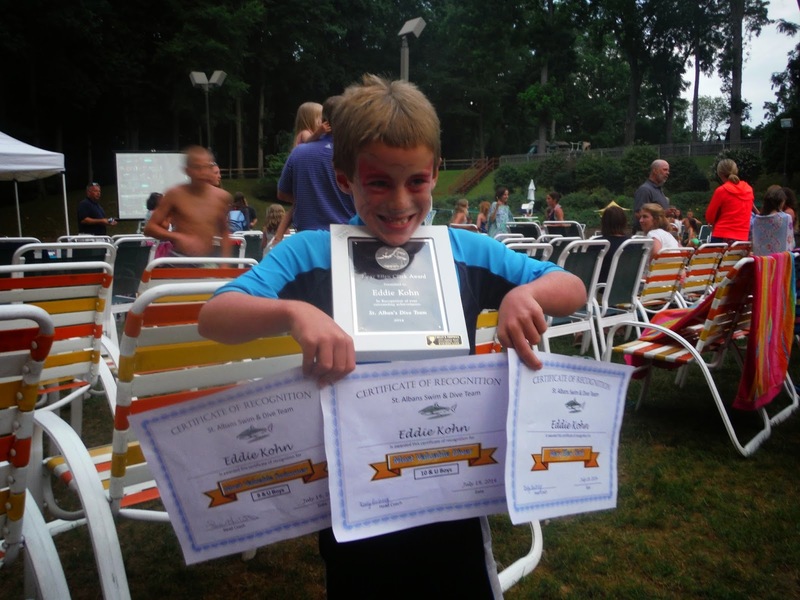 Eddie was named the Most Valuable 8under boy swimmer and the Most Valuable 10under boy diver. But the real surprise came when Eddie received the Mary Ellen Clark award presented to the best diver on the entire diving team. We couldn't be more proud of our little shark. He is confident and ready to compete in Champs this week for both swimming and diving. 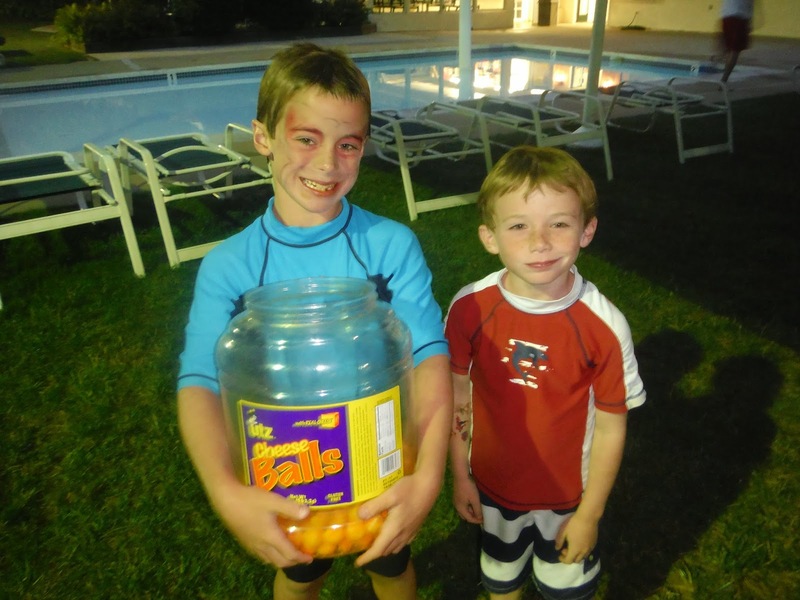 But in typical 8 year old fashion, Eddie was just as excited to take home the huge tub of cheese balls at the end of the night!! Awesome job Eddie! He's so good Kari! Good Job Alex and Eddie.